Pipetech mobilised, in just three days, to clean a 2” MEG service line, with a gel plug. The project took place at Edradour, Glenlivet field outside of Shetland. Pipetech was successful in removing the gel plug at first attempt. 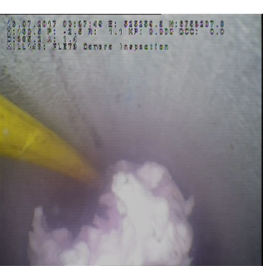 The scope slightly changed during the operation when a nylon plug was discovered in the pipe, after an ROV inspection. The execution phase of the project went very smoothly with high standards of interface with the customer and good communication throughout. Distance between pipe and DWCS. All works completed without incident, maintaining Pipetech’s zero LTI record. The work scope was completed within intended schedule. Safety – Fully contained remote system ensuring safe operation with no incidences. Time – Successfully cleaned beyond brief. Cost – Minimal rigging and dismantling, saving time and people. 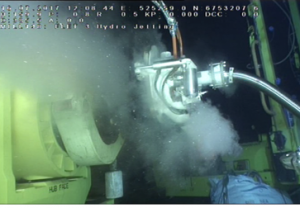 "The ultimate cleaning system for subsea pipelines."